Bund Testing – Why should I do it? 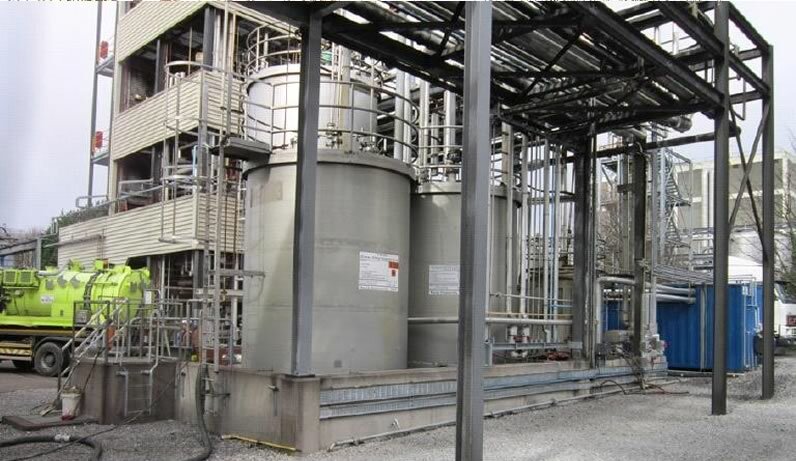 Bund Integrity Testing is a general license condition on all IPPC and Waste License Holders. It is normally carried out every 3 years. Bund Integrity Testing can also be required as a condition on a Local Authority Permit. A bund is a pollution control device used to mitigate leaks from storage tanks. If the bund is not water tight, then the leak from a storage tank is uncontrolled and will cause pollution to groundwaters and other sensitive receptors leaving the operator liable to prosecution and cleanup costs. All too often leaks start small and so a tank can be leaking for a lengthy period before it is noticed. This in effect means that the pollutant can migrate a considerable distance resulting in large cleanup costs. An intact maintained bund will mean that if other than rainwater is found in the bund, that there must be a leak in a pipeline or tank within the bund. Bund Maintenance is low cost relative to the financial costs involved in cleanup following pollution incidents. A well maintained bund can mean that the leaked contents can be recovered thereby avoiding disposal costs and product replacement. Pollution incidents can lead to prosecutions which can have a negative impact on the Company particularly from a Corporate Social Responsibility Perspective and from Consumer Brand Protection. Pollution incidents can lead to more tighter license conditions thereby increasing annual compliance costs. Lehane Environmental will firstly conduct a visual assessment and bund storage volume will be calculated prior to hydrostatically testing the bunds. If necessary the bund will be cleaned by our site services team in order to complete the visual assessment. EPA’s IPPC Guidance Note on the Storage and Transfer of Materials for Scheduled Activities. British standard BS8007:1987 – Design of concrete structures for retaining aqueous liquids. CIRIA report 163 – Construction of bunds for oil storage tanks. However in a lot of the above cases Lehane Environmental can carry out a reduced level water retention test which would test the floor of the bund and the wall joints to the floor which are high risk points. On completion of the test, a detailed report is provided to the Client detailing bunds which have passed and failed. For bunds which have failed, Lehane Environmental can provide a proposal for the carrying out of remedial works to bring the bund up to the required standard. We can also provide for temporary portable storage tanks with bunding whilst the repairs are being undertaken. Contact Lehane Environmental today to arrange for Bund Integrity Testing on your site – 021 435 1020.